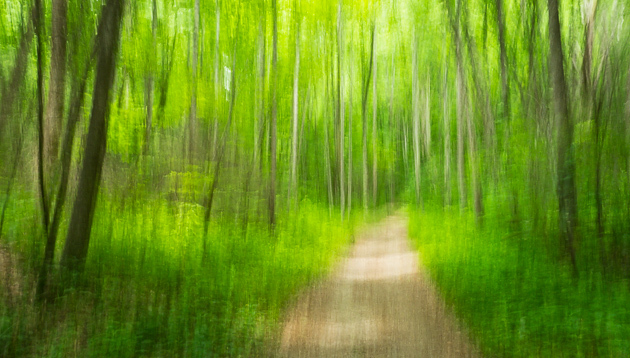 Today’s photography tip is about impressionism and experimentation. 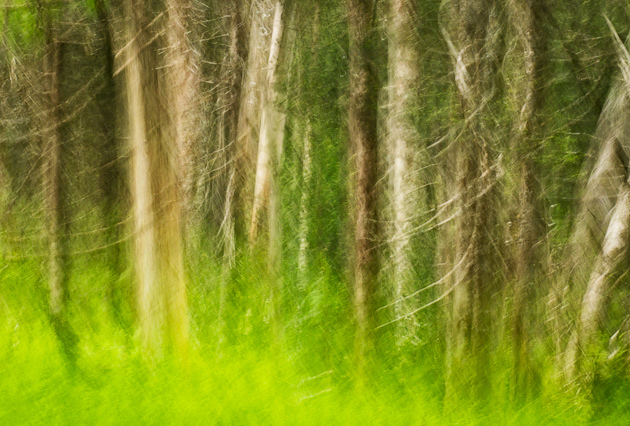 I’ve tried Impressionism in my Smoky Mountains photography before, as in Smoky Mountains Monet. 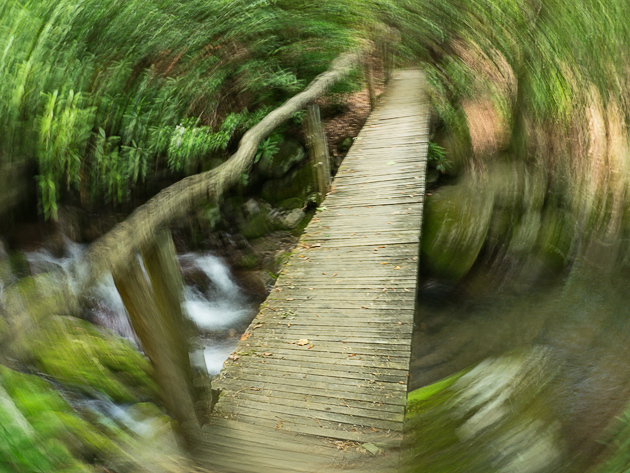 First, it’s not always easy to get a long exposure on a sunny day. If you stop your camera down to f16 or f22 you may still have an exposure that is too short to allow camera movement. For these photos, I attached a strong neutral density filter that blocks much of the light. In fact, at f22 I had about a 6 second exposure, which was too long! Second, just experiment with movement. In general, go with the lines in the scene. 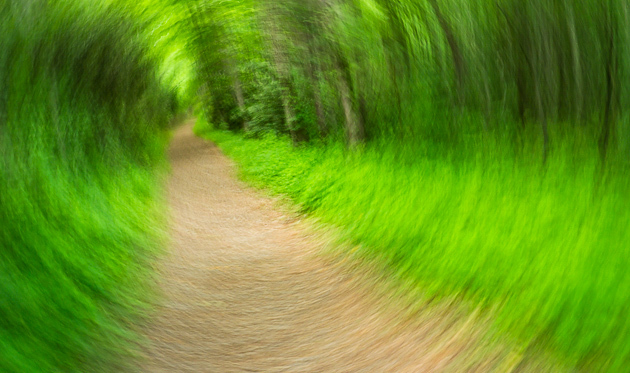 If the lines are vertical, such as trees, move the camera up and down during the exposure. If the lines are horizontal, such as the horizon at the beach, move side to side. And if there is a central point of interest, try rotating around it, as in the two photographs below. This takes some practice with a hand-held camera. I found that when rotating, it was best to move slowly. To get these few winners, I took a few hundred shots. But I shoot very quickly, one after another, adjusting the movements and timing while watching the results. In this way I can learn about what movements work best and zero in on a good technique. Is this worthwhile photography, or just a gimmick? Well, it is very fun, so why not? But also, playing with light and learning to use light in creative ways is at the heart of photography. A technique like this, used on the right subject, can help convey the mood and the feelings and the essence. For example, out at the William Britten Gallery in Gatlinburg, Winter Silence is a Smoky Mountains scene created with impressionism, and it is a top-seller because it somehow captures the essence of snow and solitude. ← Wordless Wednesday: The Roaring Fork Sings! I love these images Bill. Once again you’ve inspired me to try something new with my camera. Amazing!